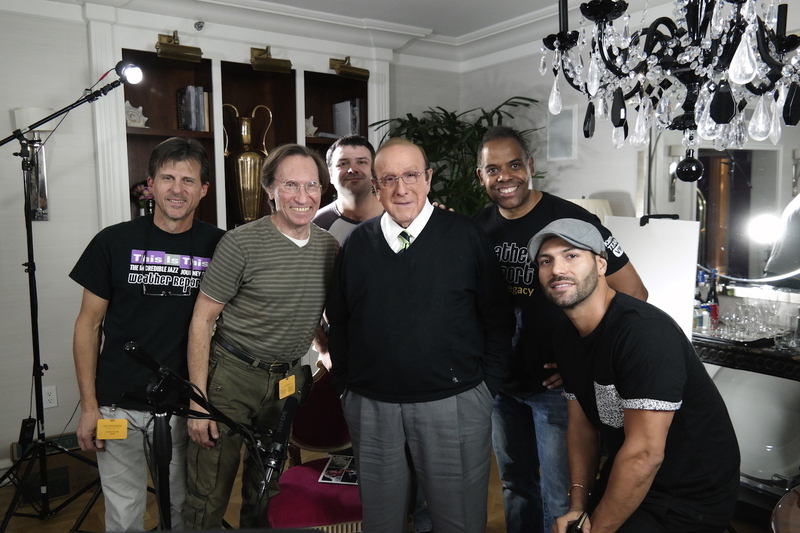 Clive Davis, record industry icon, member of the “Rock and Roll hall of Fame,” the man with the “Platinum Ears,” carved out two hours of his valuable time to sit and talk about Weather Report. For those who don’t know, Davis signed them to Colombia, along with a murderers’ row Jazz-Rock stalwarts: The Mahavishnu Orchestra, Herbie Hancock and the Head Hunters, Dreams (with the Brecker Bros.), the Flock (ft. Mahavishnu’s Jerry Goodman), as well as cross-over artists with jazz pedigrees, Blood Sweat & Tears and Chicago. It was a Golden Age, those early 70’s, and Clive tells all – coaxing Miles to play the Filmore, inviting Joe, Wayne and Miroslav in to his office to discuss the care and feeding of this extraordinary new band called Weather Report. Those were the days!